Need a dose of adrenaline and energy? On today’s episode of Should I Start a Podcast, we’ve got the perfect antidote for apathy and complacency. 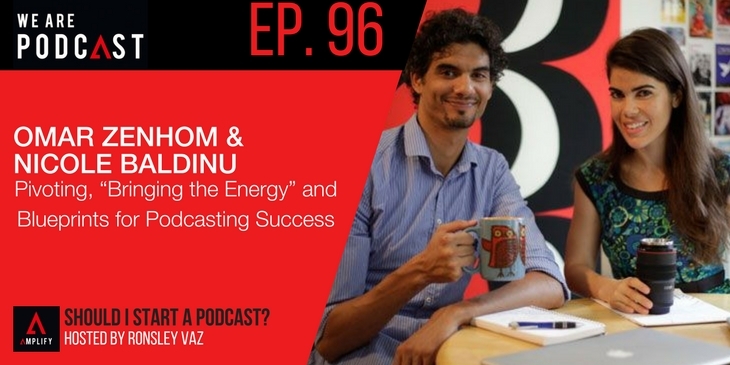 My guests are Omar Zenhom & Nicole Baldinu – educators, speakers and podcasters who have together built the $100 MBA community & podcast. Omar loves rooting for the underdog and telling it like it is. Nicole is the sensible one with all the taste. Together they are a dynamic duo and their message is not to be missed. In this episode, they present their story of early failures to later successes in business and podcasting. They talk about finding your audience, how to engage with them and how to treat podcasting like a craft. They lay out all their secrets of success, offer up some tips and tricks of the pros, and provide an infectious dose of energy that is bound to motivate just about anyone.